The vineyards of Château de Lascaux have been in the family for thirteen generations. The name of the domaine, "Lascaux" comes from a limestone specific to the domaine's vineyard sites. Jean-Benoît Cavalier took direction of the property in 1984, just after finishing a degree in Agricultural Engineering. In 1990, he consolidated the vineyards, restructured the ancient cellars, and created the official domaine, Château de Lascaux. Today, over twenty-five years later, the domaine has expanded from twenty-five to eighty-five hectares of vineyards, surrounded by three-hundred hectares of forest, filled with green oaks, pines, and garrigue. The quiet isolation of this part of the region, coupled with its proximity to both the sea and the mountains, makes this microclimate so unique. It is nestled along the foothills of the Cevennes, a mountain range that sits in the heart of the Midi. These foothills protect the vines from the cool Mistral and Tramontagne winds, and bring more rain to an otherwise dry climate. That this temperate zone brings a long, slow ripening of the grapes only adds to the wines' complexity. 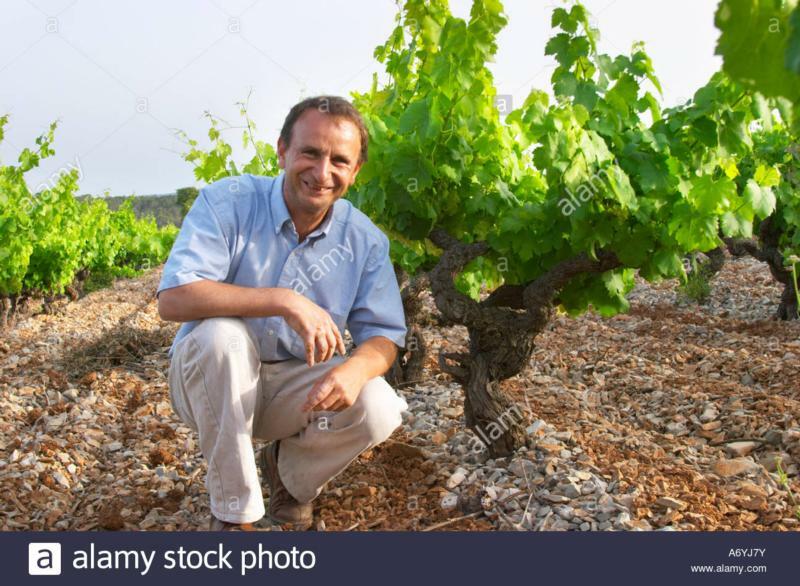 The stony soil lends finesse and freshness to his wines, giving the reds greater aging potential than Syrah-based wines grown in other Languedoc soils. The proliferation of garrique certainly is reflected in the aromatics, where notes of laurel, thyme, rosemary, réglisse, and mint are present in the wines. Jean-Benoît is passionate about supporting the richness and diversity of this ecosystem, so the domaine's conversion to organic viticulture was a logical choice.